This article consists of instructions on how to properly configure and customise the settings of HENNGE Secure Browser in Access Control Admin Console in order to best suit the environment of your organisation. ☆ - In the Secure Browser settings in Access Control Admin Console, you are able to access to the Authentication log that consists of the past authentication records for devices that have been authenticated in the past. Also, you can find the devices that are pending to be authenticated and choose to Accept or Deny the authentication request. ☆ 1 - For the devices that are already been authenticated, you can find them in the "Devices" interface. Click on the "Edit" icon as shown as below. 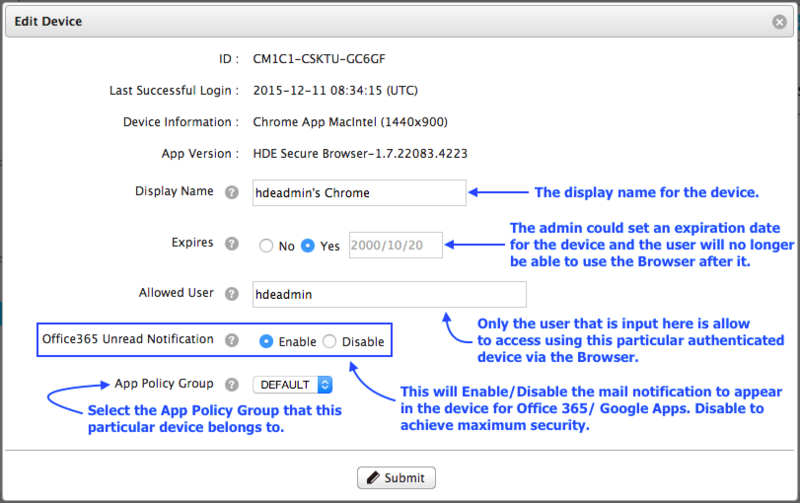 ☆ 3 - App Policy Group controls the behaviours of the Browser that is installed in the devices. You can create and configure the App Policy Groups and assign devices to them. The devices that are assigned with a App Policy Group shall behave according to the policies. 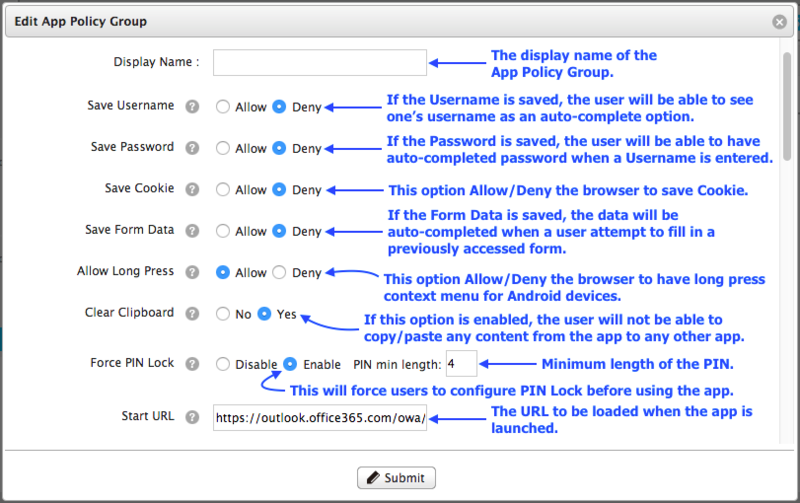 You can click on "New App Policy Group" to create a new one or click on the edit icon to configure an existing one.